This page is intended to highlight the general requirements for eligibility to enter the U.S. Army. You must be able to pass the OPAT and meet the Army height and weight standards. Also, you will be required to complete a criminal background check and physical examination with a Military Physician for approval to enter the Army. We outline the U.S. Army standards since the majority (77%) of our student become Army Officers. These requirements are administered/coordinated by your local Recruiter. 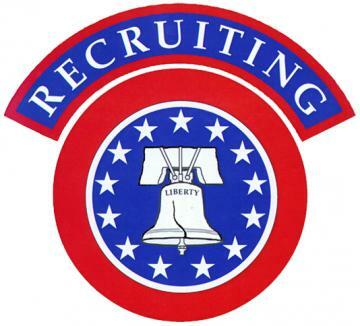 You will be assigned a recruiter if your application progresses to the second phase of the application process. The Occupational Physical Assessment Test (OPAT) predicts one's aptitude to perform the physical tasks required for the 65B occupation (Physical Therapist). The 65B Military Occupational Specialty Code (MOS) is in the “Gold/Moderate" Physical Demands Category. Standing Long Jump - Moderate Standard 120cm / 3’ 11"
Seated Power Throw - Moderate Standard 350 cm / 11’ 6"
a. Tattooing in areas of the body (i.e., face, legs, hands, fingers, etc.,) that would cause the tattoo to be exposed in a "Class A" uniform would detract from a soldierly appearance. b. Soldiers are expected to maintain good daily hygiene and wear their uniform so as not to detract from an overall military appearance. Any person who is not in compliance with AR 670-1 as it applies to tattoos will not be accepted for appointment in the US Army. Any person with a tattoo on the head, neck, scalp, or face will not be accepted. Furthermore, regardless of a tattoo's location, any tattoo deemed offensive, racist, profane, and/or linked to a criminal activity or extremist group may be denied appointment.